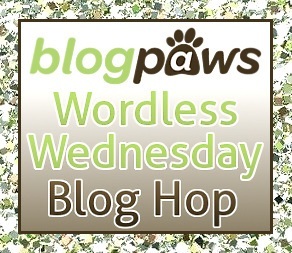 Today’s Wordless Wednesday post celebrates dogs that love playing sports with their humans. It’s springtime and March Madness has just begun, so here’s Haley tipping things off by playing her favorite sport, basketball! If your dog isn’t a fan of basketball, that’s okay. 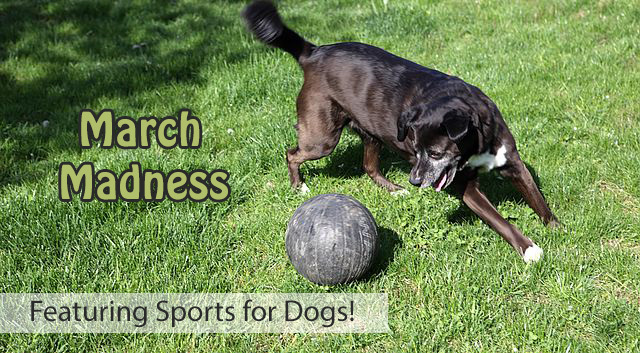 Check out these other sports for dogs: baseball, hockey, football and tennis. Try different ways of including your dog or allow them to decide how they want to interact with the activity, like in this video. The next time you head out to play a sport, think about taking your dog along for some fun and exercise. 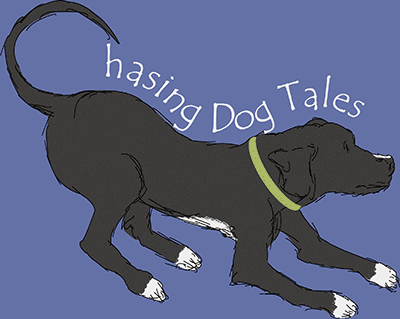 Does your dog enjoy participating with you in any human sports? No basketball fans at our place, but we dogs do enjoy soccer in the yard. Soccer is great too, plus the ball is a little lighter and easier to move. We love basketball but our favorite is soccer! I’m just so happy it’s spring and the weather is getting warmer. Haley is too! Wow, cool! Air Bud’s got nothing on you! My first german shepherd was a soccer star. She could jump really high. Thanks Kari, It’s amazing how talented some dogs are with a soccer ball! Makes me really want summer and the dog park right now. I know! It can’t come soon enough for me too. This past winter has seemed longer, colder and snowier than normal. My GSD loved to play water volleyball. Yes! That’s so much fun to watch. They like to stand around the pool edge and bounce the balls back into play. They make pretty good refs, lol. That’s a great way to look at the seasons. My favorite would be football season! Love that video – what a great time he’s having with that ball and what great exercise! Right now the sport of choice here in Doodleville is stick chasing! That’s a sport right? Absolutely! There’s definite strategy, technique and of course, the winner is who keeps possession of the stick. That’s you, Harley! Thanks, I just checked out Sugar and her cool basketball moves. Of course, now Haley wants to know why she doesn’t have a pair of those awesome purple basketball shoes. I told her that she’s still on the JV team! Great video, Elaine! Haley has so much fun with that basketball. What a joy to watch! Maybe I’ll get Savanna a soccer ball and see if she will play with it since you said that soccer balls are a little lighter and easier to move. Thank you Rachele! Soccer balls are nice because you can buy them in different sizes too. Haley’s had a lot of types of balls but she likes the heavy basketball for some reason. You’ll have to do a video of Savanna if you decide to get her a soccer ball. Great video! Rita would never play like that. She’s a funny girl, only wants to play for a wee bit and then she’s had enough. But she does like to play a wee bit of hockey on the hardwood floors! So Rita is a hockey fan! Haley likes playing soccer with the occasional ice cube that gets dropped on the hardwood floors. We really love frisbees, so much so that we sometimes don’t get really fun ball games a chance! With all the fun you are having we will have to venture out of our comfort zone! Frisbees are pretty awesome too. I just can’t throw them very well, lol! Not with human sports, no. The balls aren’t really Mr. N sized lol. I’m thinking miniature golf for Mr. N! Someone should create a course where the terriers could chase the balls and then dig them out of specially designed holes. How fun! Now is the time to get out there and play with the nice weather returning. Yes, the grass is starting to green up a little and everything around here is starting to come back to life. Thanks for checking out the blog today, Jessica! She’s supposedly a lab/boxer mix, but who knows what might be in the lineage of a loveable mutt. She definitely seems to be herding the basketball. I like Soccer! You can’t get a goal with me guarding the net! Gosh, I wish I had your yardie to run it! Thank you Ruby! A basketball is about the only ball that Haley can’t pop with her teeth, but she loves playing with soccer too. Looks like fun! My Papillon’s favorite ‘sports’ are all ones he made up on his own! That’s awesome. What are his games? Haley’s would be sock ball catching and water bottle toss!